At the initial design meeting in Moorestown, NJ the client stated she wanted a balcony railing design. 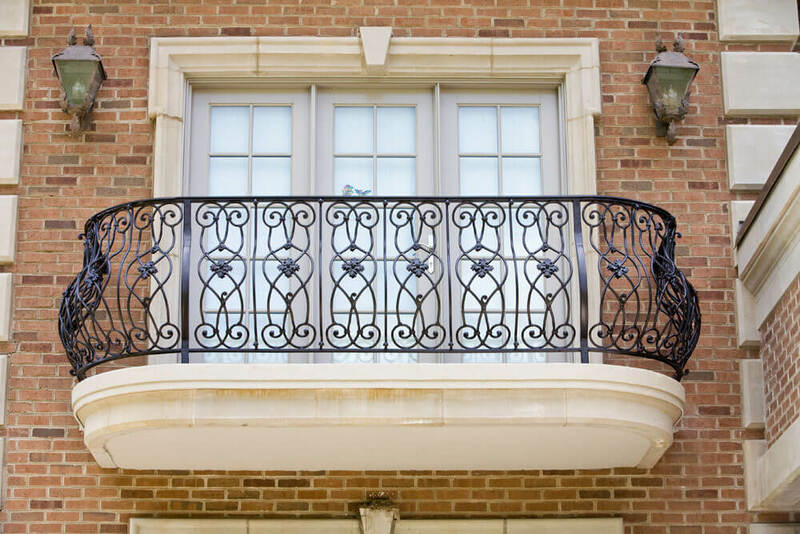 Upon being show standard balcony railing designs, she wanted something that was more “feminine” in design. With some design dialogue, this balcony railing design was selected. However, the initial railing design had some code issues, and design considerations had to be made to meet code but still have the balcony railing design be visually pleasing. There were serious metallurgic challenges as the railing design had to be radiused both vertically and horizontally to compensate for the radiused railing design. The entire balcony railing project was a challenge and the craftsman realized one morning that he is growing grey hair working on this difficult railing project. However, the Moorestown NJ Clients design Vision was fulfilled, they were thrilled and the craftsman was happy.